The Brandywine Leasing Advantage is a 36 month hearing aid lease which allows you to pay for your hearing aid over a 3 year period. The leasing option provides batteries and warranty against malfunction for the life of the lease. Again, there is no upfront cost and no down-payment. After your 21 -day free trial period, if you are satisfied, you begin making your low monthly payments. We can send you a bill each month or we can keep your credit card information on file and charge your card automatically each month. There is also the option to pay the lease yearly which gives you a one month discount! Why buy when we offer hearing aid leasing? Just like leasing a car, with hearing aid leasing you do not own your hearing aids at the end of the lease. At that time you have several options. 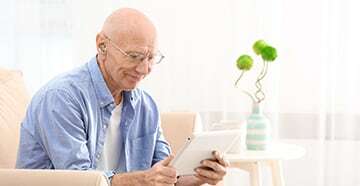 You can return your hearing aids and do nothing, you can purchase your hearing aids for an additional cost, or as most of our customers do, you can lease a new set of hearing aids. We find the average life of a hearing aid is 3 to 5 years. 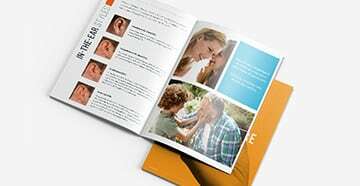 After 3 years of use for most people, it is time for new hearing aids, as your hearing loss has likely changed, the size and shape of your ears has changed, the technology has likely changed significantly and, simply, the hearing aids have started to wear out. 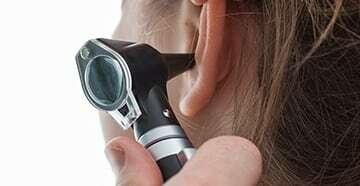 At that point, you have a new hearing test, try new hearing aids for 21 days and, if you like the new aids, you sign a new lease and keep the previous set as spares at no extra charge. Now, you have new hearing aids that are under warranty and spare hearing aids that you can use if you have any problems with the new aids.